Any interest in this via Dirt Rally? 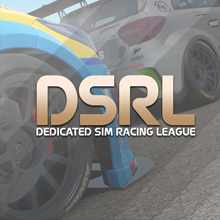 It takes virtually no practice, has many of the official tracks and cars, is balls of fun, and keeps track of your progress through the game, for each event. I have wheel settings for the TX if anyone is having trouble. Unlike rally, we can all join in...and a little swapping of paint is expected! Yeah there is interest. Certainly is great fun when a large group gets online. Keep watching as I do have some ideas. DSR Webbers wrote: Yeah there is interest. Certainly is great fun when a large group gets online. Keep watching as I do have some ideas.